The Cruze hatchback has the same dynamic 'stance' as the sedan with its sweeping coupe roofline and short overhangs at both the front and rear, Chevrolet says. Chevrolet's growth ambitions in Europe will be underlined by the debut of a production Cruze hatchback at the Geneva show in March. Chevrolet Europe managing director, Wayne Brannon, said the new Cruze hatchback will "cement Chevrolet's claim for a place among the mainstream brands in Europe." Hatchbacks account for 65 percent of all compact car sales in Europe in a key segment that represents over a quarter of the total market, Brannon added in a statement. Europe's top-selling compact hatchback is the Volkswagen Golf. The Cruze hatchback takes its styling from a concept unveiled at the Paris auto show in October. The car's cargo capacity is close to 400 liters and it has 60/40 split rear seating. 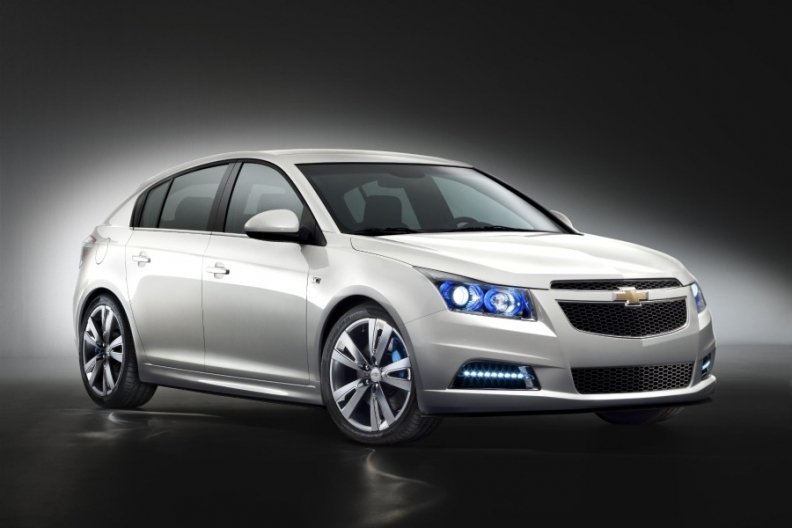 Chevrolet will launch the Cruze five-door hatchback in European markets mid-2011. The Cruze sedan launched in the spring 2009 and the car last year passed the Aveo to become Chevrolet's top-selling passenger car nameplate globally. Chevrolet said the Cruze hatchback will have the value-for-money positioning typical of the brand. Prices will be announced nearer the launch date. The car will also be sold with a new range of engines, including the same diesel unit and standard six-speed manual transmission also offered in Europe on the recently-launched Orlando SUV/minivan crossover. Chevrolet aims to double European volume in the mid term, although progress for the General Motors Co. unit stalled last year after European governments phased out scrappage incentives that had boosted sales of the brand's cars small cars such as the Spark and Aveo. Chevrolet's sales in the EU and EFTA markets fell 6.4 percent to 178,730 in 2010, according to industry association ACEA. The brand's market share was 1.3 percent.